To elaborate further on my podcast the quote from the reading that really stood out to me was “Cyberspace is something more. Though built on top of the Internet, cyberspace is a richer experience. Cyberspace is something you get pulled into perhaps by the intimacy of instant message chat or the intricacy of massive multiplayer online games Some in cyberspace believe they’re in a community; some confuse their lives with their cyberspace existence”. This perfectly encapsulates the way the internet has created opportunity to create meaningful interactive relationships without physical interaction. The ability to do so has changed marketing forever. Gone are the days of the old school one way dialogue between a company and its customers. Today’s consumers want more, they want personal relationships, real time communication, opportunity to engage with the brand, to contribute to its culture and to form communities with like minded brand users . My textbooks call this Online Customer Relationship Management but I call it simply being a brand in the networked environment. Here is a brief history of the evolution of marketing as it coincides with the trajectory of technology itself. 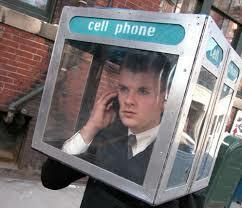 Smart phones are amazing, they allow us to stay connected, informed and entertained regardless of where we are. As a result of this ease of access the rules of when and where it is appropriate to use them are becoming non existent. We see people using them on trains, in cafes and restaurants, walking down the street and even crossing the road. The frequency of their use in these public spaces is creating a new dynamic of social standards that is changing the nature of public space dramatically. What I have observed simply by spending time in public space is that people often use their mobile devices as a way to exit public space. 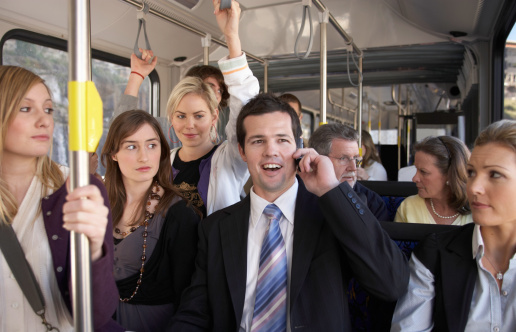 Young people know that a stranger is not going to communicate with them if they put their earphones in. I find myself doing it too. If I am alone in a public area and have no friends to communicate with I sometimes feel awkward. So I go on my phone to make is seem as though I am doing something and so that I have somewhere to look. Most of the time I am not even engaged in what I am looking at on the screen; mindlessly scrolling up and down the same news feed without actually reading anything. I just do it as a way of leaving an uncomfortable shared environment. It is strange how phones have become like a safety net, where you can escape social interaction at will and feel secure knowing that no one knows what you are doing.This false sense of security extends so far, that people have become comfortable, having loud mobile conversations in public areas, playing songs out load and watching videos on full volume without hesitation or concern for established social norms for acceptable public behavior. You would not start yelling at the top of your voice in public for fear of social embarrassment, so why is it then OK to play music on a train? “As the use of mobile phone in public spaces is increasing, it is leading to the change in social order by blurring the boundary between public and private spaces. What one would typically call a public place is slowly becoming pockets of individual private spaces where people exhibit behaviors as if they were by themselves'” (Geiger 2013). This is creating a new plain of existence somewhere between your physical presence in the public world and your virtual presence in your own private sphere. Leading to a domain of semi public space where you are in populated area but your activities are isolated to your own bubble that others cannot access. “The whole idea of public/private as binary is becoming much more complex; instead of thinking about public and private, we have to think about the private sphere becoming more dominant in public”…”For the smart-phone users, they’re totally, constantly engaged with the private sphere, and it’s reducing the basic roles of public space.”…”Smart phones, combine numerous spheres: your social network, your email, your news source, your live personal conversations, when you’re interacting with each of those spheres while walking through a public park, which social code do you follow?” (Hatuka 2012). 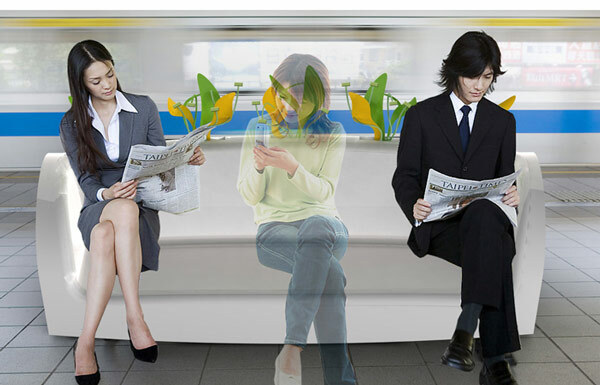 If personal devices have the ability to isolate, then public devices such as large screen TVs in open areas should thereby have the ability to connect. This is the traditional idea of media, whereby families would gather around a television set and strangers would stand side by side at store fronts to share a media experience. This off course is not always the case, particularly today where people use TV screens in public areas, again as a way to avoid social interaction. I can however think of a time when I witnessed this togetherness through public media occur. I was at Uni Center, a shared space at my university campus, where power-points and bean bags are readily available for people to curl up and engage in personal media activities. 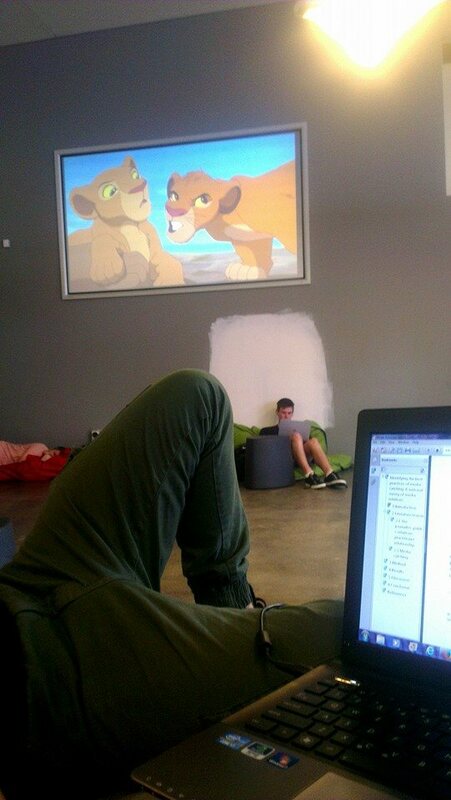 One day The Lion King was projected on the wall for everyone to watch and the way people began interacting simultaneously with this film surprised me. Suddenly people looked up from their laptop screens started watching the projection together. Personal space failed to become a factor for separation as people were now comfortable with moving the beanbags together in front of the screen to get a better view. Before they were all sitting in isolated sections, now they were lying next to one another bonding over their love of the Lion King. Before the film there was silence; broken only by the sounds of typing, mouse clicks and the occasional you tube video. Once the film started people began singing along, repeating the memorable lines and laughing out loud. I couldn’t believe how the simple act of playing a movie in public changed the entire social dynamic of the space. Badger, E 2012, How Smart Phones Are Turning Our Public Places Into Private Ones, CityLab, weblog post, 16 May, viewed 14 September 2014, <http://www.citylab.com/tech/2012/05/how-smart-phones-are-turning-our-public-places-private-ones/2017/&gt;. Geiger, S 2013, Mobile Phone Usage in Public Places, INFO 203, weblog post, 1 April, viewed 14 September 2014, <http://courses.ischool.berkeley.edu/i203/s13/?p=342&gt;. Science Daily, viewed 14 September 2014, <http://www.sciencedaily.com/releases/2012/05/120510114105.htm&gt;.